It seems as though Hollywood can’t go more than a few months these days without bringing out yet another young adult dystopian tale adapted from a best selling novel that I have never heard of. 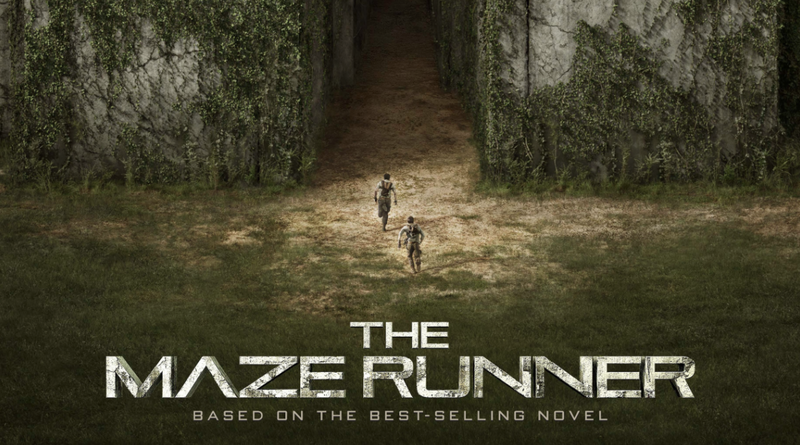 Having already seen and enjoyed Divergent this year, it was now the turn of The Maze Runner, the film version of the 2009 novel by author James Dashner. In a different narrative choice to previous successful pictures like The Hunger Games and Divergent, The Maze Runner features a predominantly male cast of characters, giving it a very different feel from the strong female character based narratives that have almost carried these young adult films on their own in previous instances. The trailer, though, looked vaguely exciting and showed enough promise for me to be persuaded to venture to the cinema on a rainy afternoon. 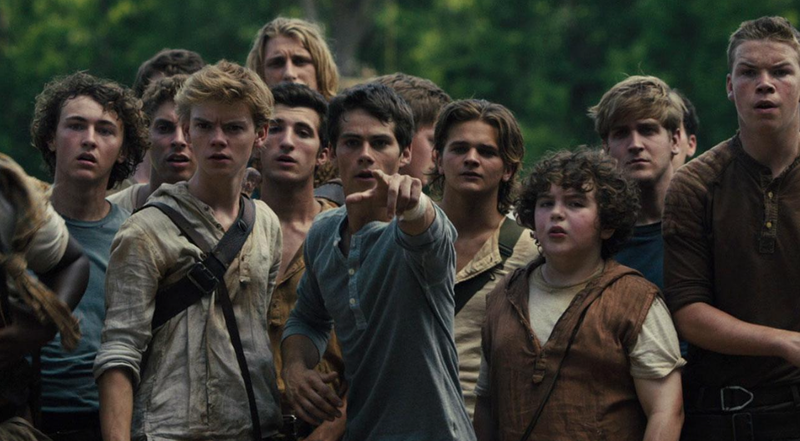 Would The Maze Runner continue my unexpected enjoyment of young adult dystopian drama? The story begins with Thomas, a teenage boy who wakes up inside a metal cage that is lifting him up into a large, unfamiliar field space with incredibly high walls on each side. Named ‘The Glade’, this field is the home of a group of fellow teenage boys, all unaware of how or why they came to be there, the only knowledge they have being the memory of their first names. Led by a strong leader named Alby (Aml Ameen), the group have created a functioning society within the walled off glade, with the most dangerous of these roles being a ‘Runner’. It is the job of the fittest and fastest boys in the group to every day run and map the huge maze that keeps them trapped in this environment, constantly facing the danger of the gate being closed and having to face an unsurvivable night on the other side of the wall. The plot progresses on a fairly predictable manner, with new boy Thomas sparking a new lease of life in to the gang and pushing them closer to escaping the maze than ever before. Of course, this progress does not come without obstacles, and a number of twists and turns are implemented to make the narrative an enjoyable if not slightly underwhelming ride. The Lord Of The Flies type dynamic that the boys maintain in the first two thirds of the film is very engaging, but it is as the plot revelations begin to unfold in the final third that the filmmakers distance themselves from the micro-themes that were so effective and begin to weave in the elements of the story that speak to the much wider, multi novel format of the tale. The problem here is that the wider context of the narrative, from what was explained in this first instalment anyway, just is not as interesting as one wants it to be. The audience are treated to montage style explanation of the maze and its inhabitants, but in truth the climactic reveal is neither as shocking or captivating as it should be. The film’s main strength is in the the enjoyable performances by its central cast. Dylan O’Brien as protagonist Thomas is a solid lead but arguably it is the group of actors in the supporting roles that are more engaging. Aml Ameen as Alby, Thomas Brodie-Sangster as Newt, Blake Cooper as Chuck and Will Poulter as Gally in particular give emotive and impressive performances, portraying a number of different attitudes and insecurities that arise from teenagers having to survive in a very adult situation. The chemistry and relationships between the actors feels authentic and though there are a number of characters for the audience to get to know, each performer takes their opportunity in their stride and really delivers. Sympathy and empathy for the characters is vital in a film such as this, as the audience caring about the fates of the story’s players is arguably the main goal of the filmmakers, and overall I feel as though this goal is well achieved. Ultimately, The Maze Runner is a perfectly enjoyable genre movie, but it feels very much like the introductory film of a longer series rather than a stand alone picture. Of course, that is exactly what it is, but the best and most successful film franchise episodes always have enough integrity and quality to be great individually, and The Maze Runner falls just short of that feat. In terms of story and narrative, the film doesn’t feel as confident and comfortable in its setting and mythology as other pictures of the same ilk, The Hunger Games for example, and it feels as though this could be due to cuts and changes from the original source material. Overall, worth a watch, goes down easily with a bag of popcorn, but much like the cinema snack will not leave you as satisfied as you would wish. “…the best and most successful film franchise episodes always have enough integrity and quality to great individually” So true. I wish studios would remember this.